Game-changing technology strategies are transformational, exciting and disruptive for a reason. They shake up your status quo. They get you thinking about new ways to scale, compete and grow. They move you in amazing new directions. 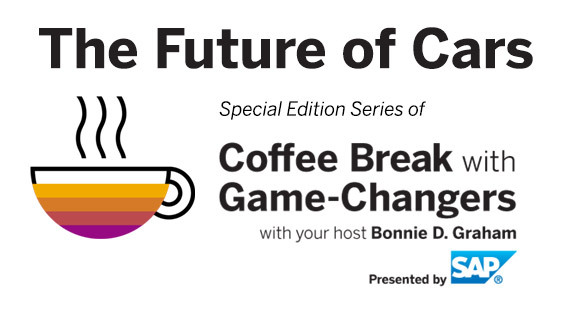 Join host Bonnie D. Graham as she invites you to take an additional coffee break with game-changers for our special series on how SAP is taking its unrivaled industry expertise into the cloud, on the Future of Cars with Game Changers.